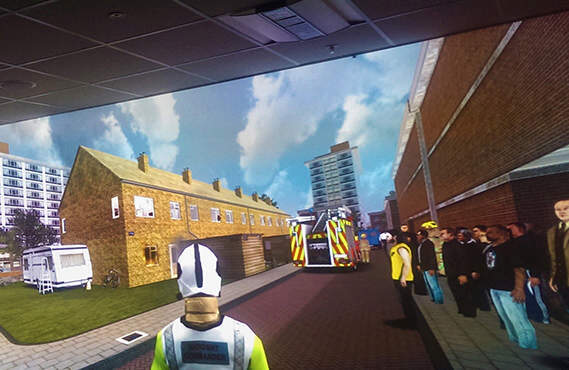 Задача: In its new state-of-the-art fire training centre, County Durham and Darlington Fire and Rescue Service wanted to create immersive interactive firefighting training simulations with various scenarios projected as huge images. 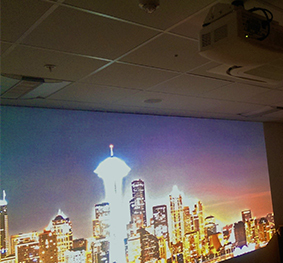 Решение: Castle Grange Technologies, installed two Optoma ProScene EH505 projectors edge blended together to create huge 5.4m wide seamless images in each of the four training rooms. 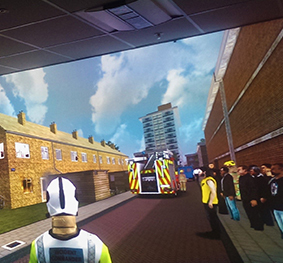 Linked to external speakers, they provide the sights and sounds of real-life scenarios that firefighters face.